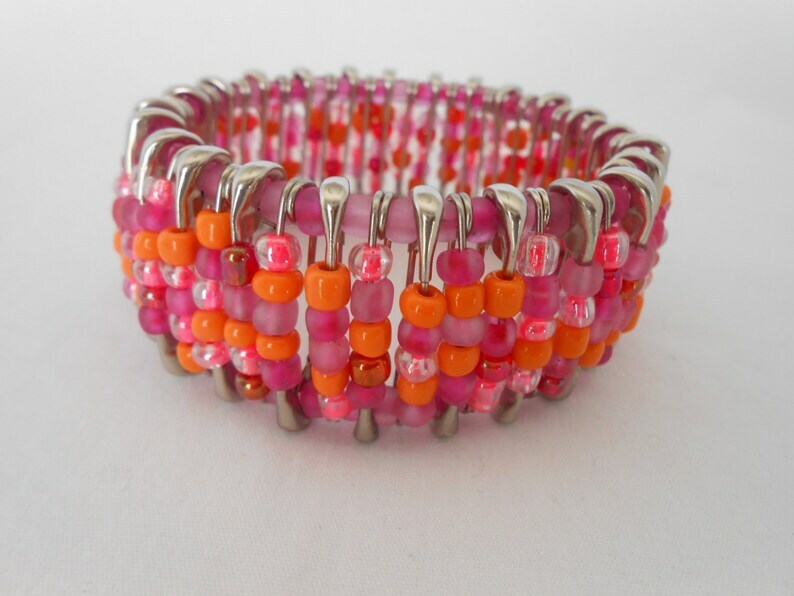 Pink and orange glass seed beads on silver safety pins. Bracelet is beaded onto size #1 silver tone safety pins (1” in height) Stretchy jewelry cord fits average wrist size (6 1/2” to 7’). All bracelets can be crafted for smaller or larger wrist size. Bead between the Lions Safety Pin Beaded Bracelets, may be handcrafted to personalize your desired colors. Please Convo or email me before placing order to confirm colors and/or if custom order pricing applies. Special order - seed beads in custom color or size, added charms, sterling silver initial beads, etc.